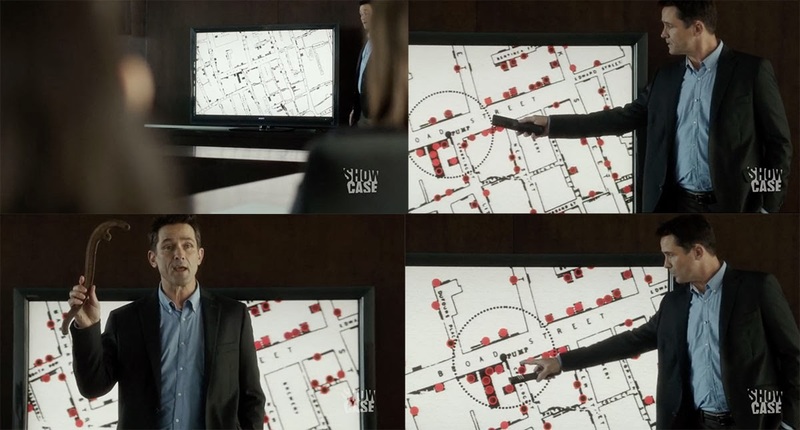 The show is a passable hodgepodge‎ —it's The Andromeda Strain meets The Thing meets The Walking Dead meets The X-files meets Rising Sun meets... You get the idea— but the reference to Snow was great, even if it'll further popularize the discredited heroic version of how the 1854 map came about. This is not the first time that I've encountered classic visualizations and infographics in popular movies and shows, by the way. Years ago, the beloved sociopath Gordon Gekko boasted about his passion for fake Playfair-like charts in Wall Street: Money Never Sleeps. I wrote about this in my old website. Do you know of any other cases like these? I'd love to learn about them.